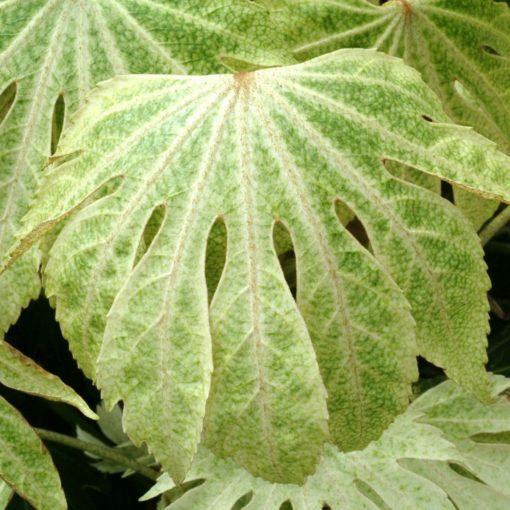 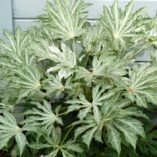 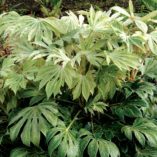 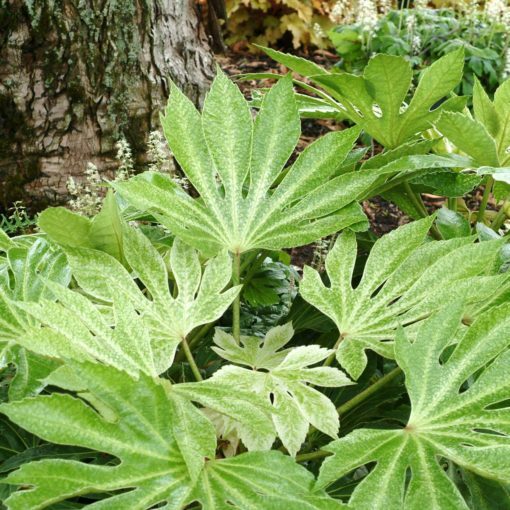 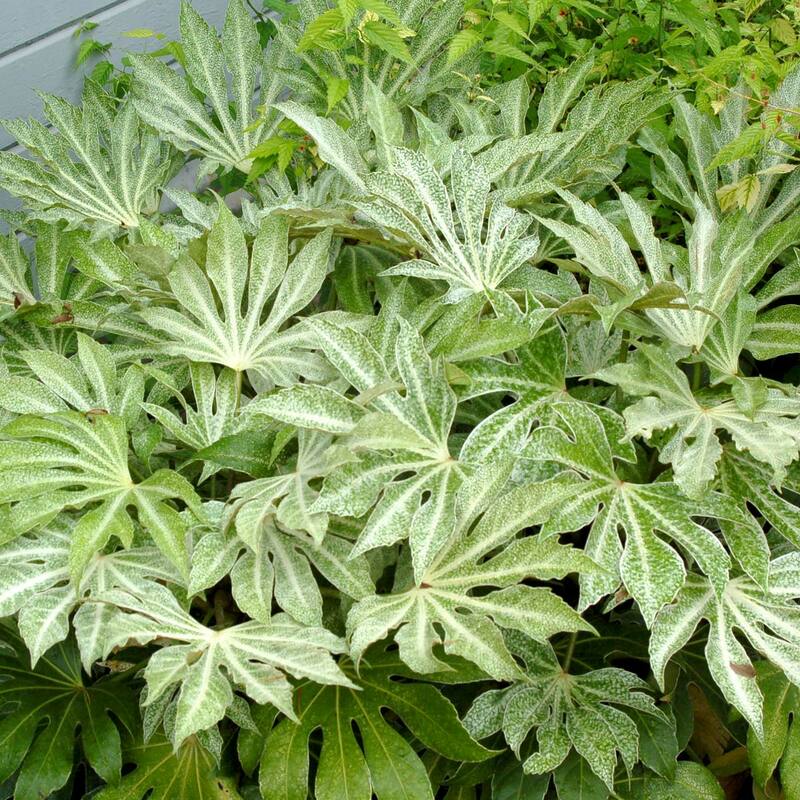 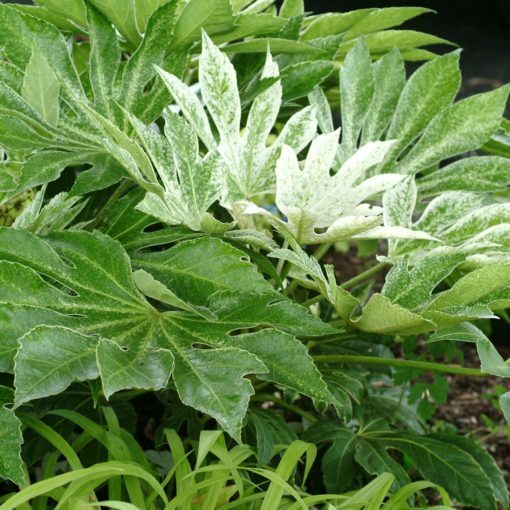 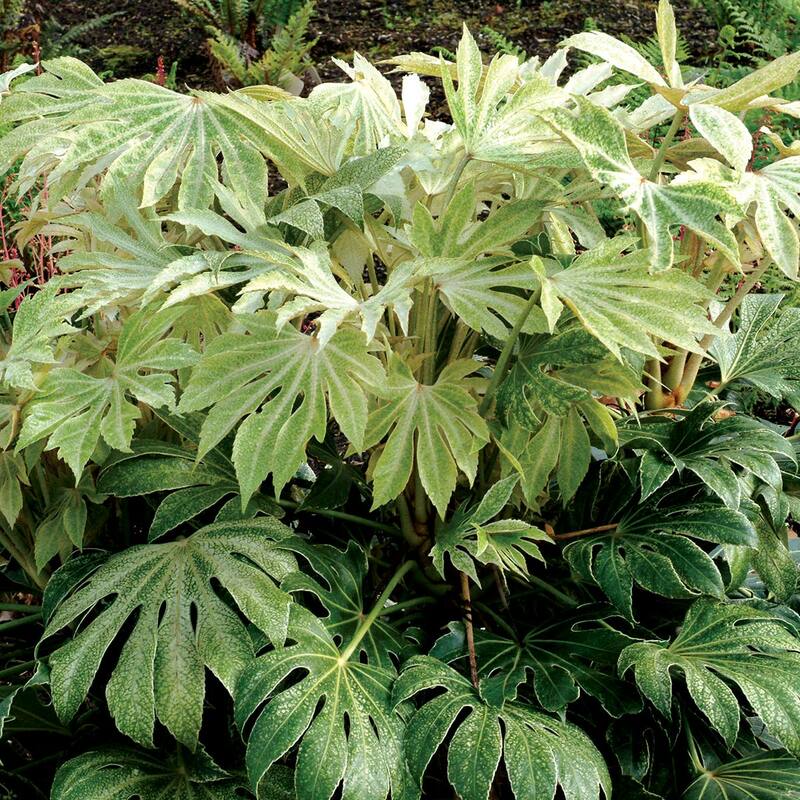 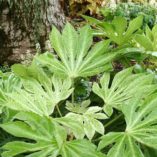 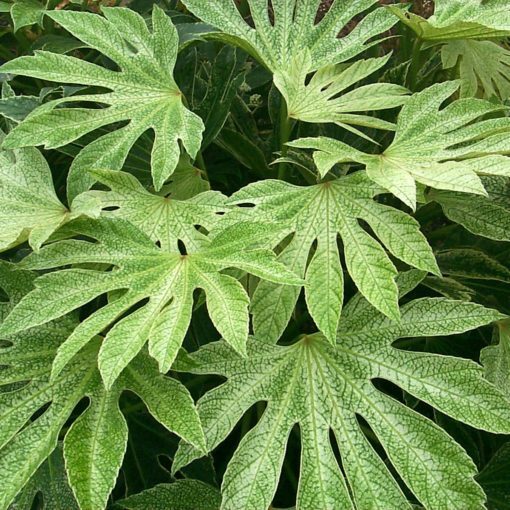 Fatsia ‘Spider’s Web’ | TERRA NOVA® Nurseries, Inc. 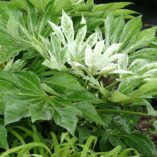 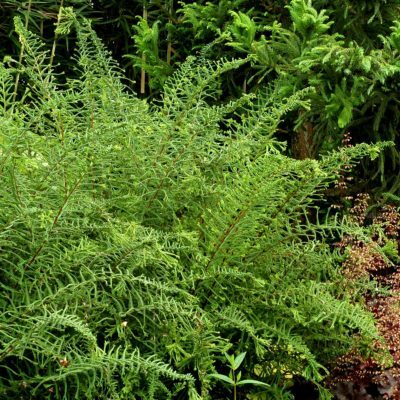 This desirable rare evergreen has white splashing and dotting on broad, palmate leaves. 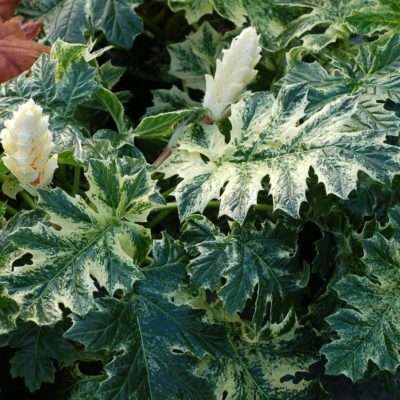 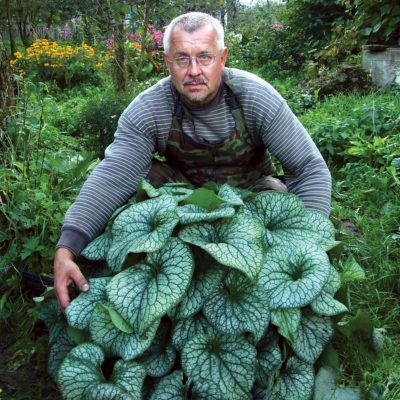 The variegation changes with the seasons and as the plant ages. 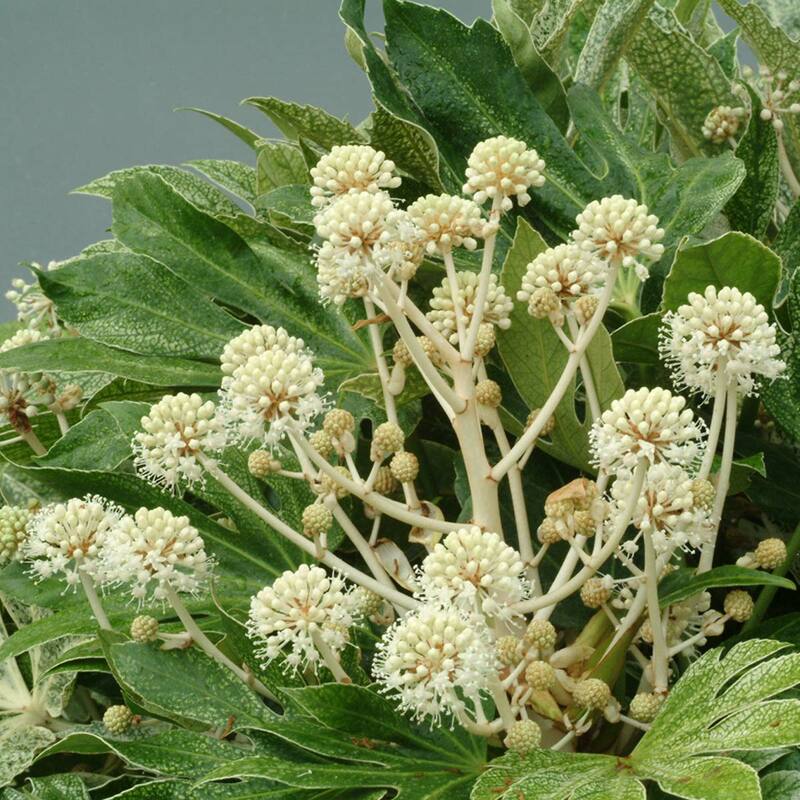 Named by Mr. Hirose of Iwakuni, Japan. 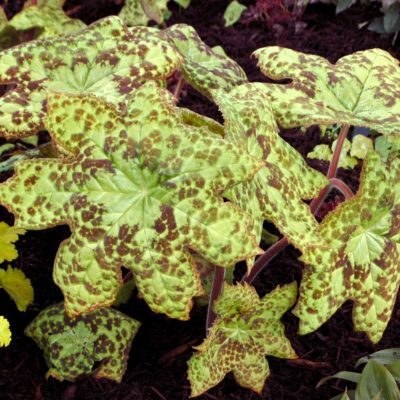 60" / 48" / 65"
It has a unique speckled and splashed variegation. Watch the foliage coloration improve with age. 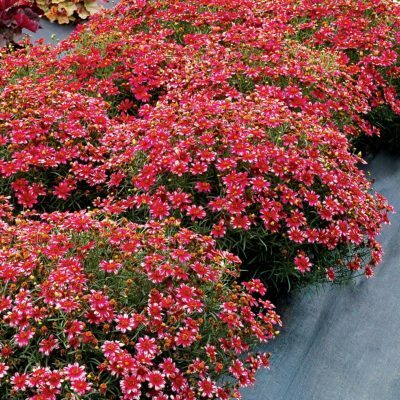 Excellent in containers and mixed borders for bold texture and drama. Has been given the Dallas Arboretum Seal of Approval from their Perennials for Purgatory trials.